If you’re looking for a skate park that mimics city streets, equipped with stairs and benches, or a park decked out in bowls and ramps designed for big tricks, Wisconsin has it. Parks across the state are designed for skaters to perfect their skills and nail that move they’ve been working on. Here are the 10 best in the state. Milwaukee Four Seasons Skatepark provides and indoor skate and BMX park. Inside are plenty of ramps, eating areas, and an overall fun atmosphere for skaters to shred on. The park has great holiday event activities, offers lesson and summer camps. Cream City Skatepark is located in Butler, Wisconsin. There is a membership fee or you can pay as you skate. Their indoor park makes year-round skating easy for Wisconsinites. Cool graffiti art livens up Cream City walls. If you’re looking for a dependable park in the Milwaukee area keep in mind that Cream City recently celebrated its 10-year anniversary. Lake Geneva Skatepark is a recreational outdoor skate park in the Lake Geneva area. They have a huge flow bowl, ramps, and rails for skaters and bikers to do what they please. The Steven Point Skate Park provide a variety of different activities for skaters and bikers alike. Designers of the park created it to mimic a typical city street. Stairs, walls, planters, railings, and benches are placed throughout the park to give it that city vibe. The Mount Horeb Skatepark is a smaller one, but fun nonetheless. There’s a small bowl for quick maneuvers and tricks and a ramp and of course some railings. Quarry Skate Park is located in Middleton, Wisconsin—just outside of Madison. This 10,00-square-foot facility houses many skaters throughout the year. Tricky concrete obstacles, ramps, rails, and mini bowls for tricks keeps skaters coming back for more. Watch out though, there are more than just skateboarders here—rollerbladers, bikers, and spectators come to experience Quarry Skate Park too. Adelaide Skatepark is the Fox Cities go-to park for great times and even better shreds. Ramps and a half pipe with a half bowl allow for skaters to enjoy a smooth ride. This would be a great park for beginning skateboarders. Johannes Skatepark is a Green Bay gem. This small, free, outdoor park offers a lot of for their residents. Multiple quarter pipes, rails, vertical walls, pyramids, and stairs to mimic the city feel. Lake Delton Skate Park is a free public skate park just outside of the Wisconsin Dells. The skate park is ideal for all levels of skateboarders. With a few different bowls beginners can take the time they need to perfect their technique and advanced skaters can show off classic tricks. 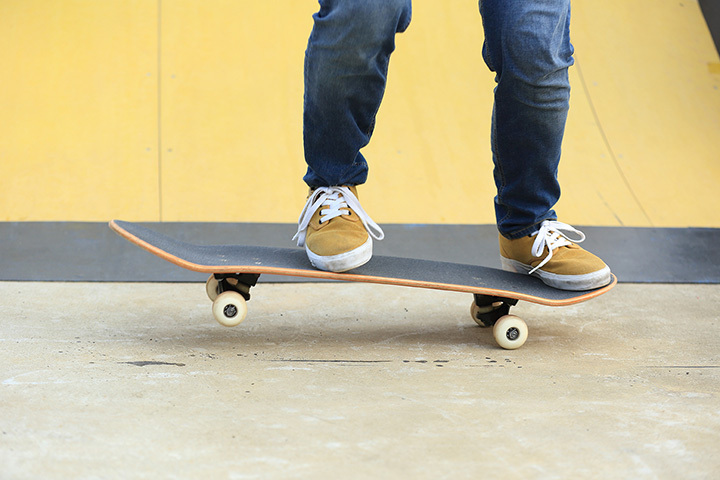 The Kenosha Skate Park was built by famous skate park designers: Spohn Ranch Skate Parks. Its state of the art 11,000-square-foot design attracts skaters from surrounding areas. Equipped with the necessary half pipes, railings, benches, and benches.